Dialekt hails from Australia and the pacific islands of Guam & Saipan. Influenced by lyrics at a young age, his unique style is best described as witty & playful, layered with serious undertones . Not just a battle or freestyle mc , many of his songs address the unspoken realities of life . His genre of music reminiscent of a dark comedy. Having such a nomadic upbringing, Dialekt reflects this in his lyricism and flow. 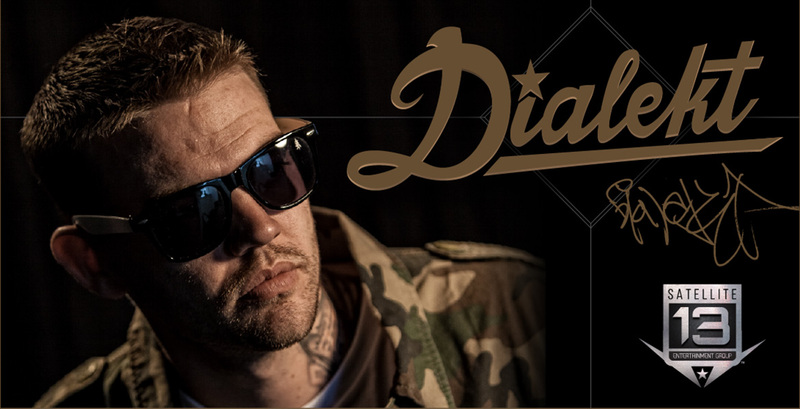 Dialekt has performed with Xzibit, Hopsin, Wiz Khalifa, Ghostface Killah, Sen Dog, T-Pain and A$AP Rocky and also recently collaborated with 'Aftermath & Shady Records' recording artist Royce 5’9" for a track on his upcoming new album “Forever Is Over”. He had success with his single "I’m In LA “which he co-wrote with the legendary Sen Dog from Cypress Hill. The music video for "I'm In LA" has now racked up well over half a million views on YouTube. Dialekt has also worked with LA veteran “OG Kid Frost" and Serial Killers member Demrick. He has also spent time on the LA battle rap circuit and free styled his way from South Central Los Angeles to Hollywood. Today marks the release date of Dialekt’s highly anticipated new single “NOT TODAY” jump on the links and have a listen then buy your copy from iTunes TODAY. Fresh off a 2 week tour of New Zealand which saw this MC performing a string of shows to a very enthusiastic audience, who got see his energetic live performances!! Dialekt has been shooting a new music video in NZ for his song “ IN THIS LIFE” we will keep you posted with release dates for this heart felt track about betrayal, loneliness and lost friendships.